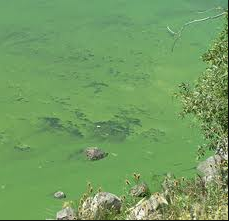 An increasing concern in cottage country is blue-green algae, a plant-like organism that, contrary to the name, comes in a variety of colours. Whether it is blue, green, or red, they can have toxins that are harmful to humans and wildlife. It is naturally occurring in bodies of water such as ponds and rivers. The algae may not be visible when it’s in the water, but it forms into clumps called blooms given the right conditions. These conditions are present in the late months of summer and the early months of fall. If the water is warm and slow moving, algae can grow at a rapid rate. What symptoms show when algae is consumed? Why should you stay aware?